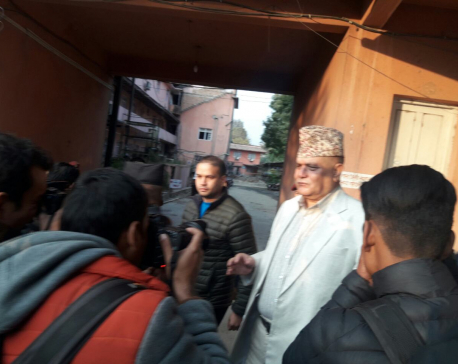 KATHMANDU, July 26: The chariot of the God of harvest and rainfall in Newari culture, Rato Machhindranath, that was at Lagankhel has been brought to Jawalakhel on Tuesday on the occasion of ‘Machhindranath Jatra’, the longest festival in Kathmandu Valley. 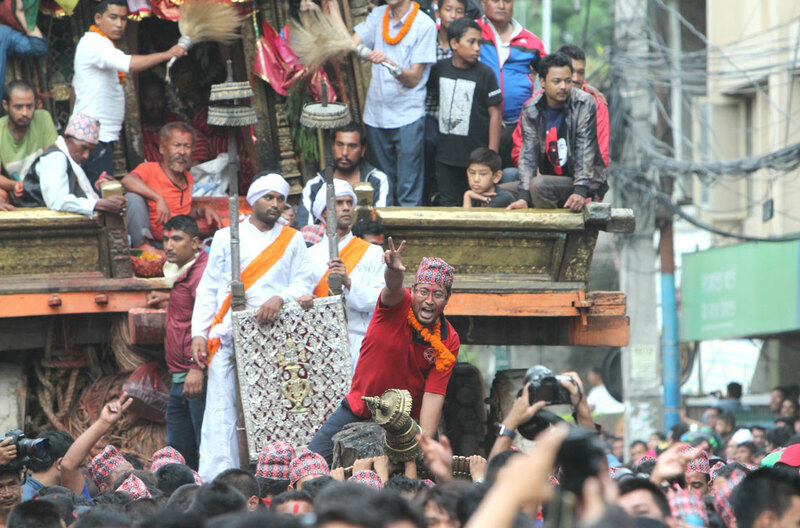 An event of the festival called ‘Bhoto Jatra’ falls four days after the Machhindranath’s chariot arrives at Jawalakhel. The event features the display of a vest inscribed with diamond and precious stones. Rato Machhindranath’s chariot festival began from the time of Malla King Narendra Dev.